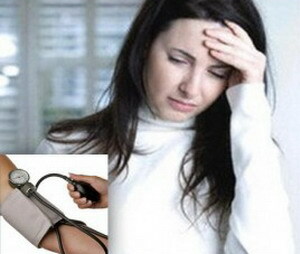 There are some tips to get rid of low blood pressure. Hypotension (low blood pressure) is a condition where the blood pressure is lower than 90/60 mmHg or blood pressure low enough so that cause symptoms such as dizziness and fainting. Maintain the blood pressure is very important. If blood pressure too low, blood can not deliver oxygen and nutrients to cells and not enough to dispose of waste as it should. If the pressure is too high, can tear blood vessels and cause bleeding in the brain (hemorrhagic stroke) or other complications. Orthostatic hypotension, caused by changes in body posture suddenly as when sleeping then straight up or straight up when squatting. This is something that is often experienced by everyone, and this type of hypotension lasted only a moment. Neural Mediated Hypotension, usually due to the condition of the body too long in the same state as when standing. Acute hypotension, caused by direct blood pressure drops suddenly. Heart rate slowed or weakened, this makes the blood flow of blood throughout the body slows down and causes hypotension. Lack of fluids, usually experienced when being attacked by diarrhea and fever. Weakened heart muscle, due to weakened heart muscle making its performance compromised. Side effects of drugs, such as hypertension drugs, antidepressants, and so on. 1. For those of you who experience orthostatic hypotension, when wake up it must not be standing because your blood flow smoothly and will not making you dizzy. You can sit about 20 seconds before standing up perfectly. 2. Consumption of meat foods, such as beef and chicken is highly recommended. 3. Avoid eating foods that sour, bitter and cucumber. 4. Expand the fluids in your body, drink 8 glasses of pure water a day not including soft drinks. 5. Immediately sit or lie down when you start to feel dizzy, let your body relax a while. 6. Exercise, as it can help increase blood flow and cardiac work train remain excellent. As well as a healthy body can making it fresh and fit. 7. It is recommended to consume more salt than usual, but not too much because it can lead to other diseases. Excessive salt consumption is only when you have hypotension. Research at Harvard Heart Letter recommends eating nuts because it can increase blood pressure. Nuts can be digested slowly by the digestive system. This is what making your blood pressure go up. So, do not forget to include beans, lentils, peas, and green beans into your daily menu. Dehydration occurs when the amount of fluid in the body is reduced and not replaced by other fluids. Reduced the amount of fluid in the body also influence blood pressure values​​, hence one of the ways to raise the blood pressure is to consume water. Drinking water is approximately 8 to 10 glasses per day. Spinach is rich in potassium and low in sodium. A balanced mineral levels is very useful for those with high blood pressure. In addition, the folate in spinach can also help lower high blood pressure and relaxes the blood vessels, thus maintaining blood flow. Chicken meat contains animal proteins that are believed to increase blood pressure. The reason? Because the body requires protein to build cells, including cells in the blood vessels. Weak blood vessels and pressure will affect the flow of blood throughout the body. These foods provide 20 percent iron if you eat them every day. Wheat, making the body more healthy so that needs to be included in your diet list. Wheat also has a lot of iron content reduces the risk you are exposed to the risk of low blood pressure.